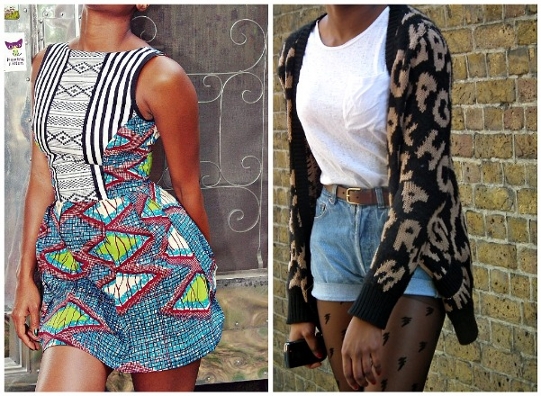 (Click Read More/Comment for pictures of how Solange rocks pattern mixing) If you love the look of mixing crazy patterns (via left picture) but for your personal preference would rather take more of the safe route for mixing (via right picture), taking standard pieces such as a classic white tee and jean shorts and adding basic colors or earth tone patterns as the sweater above with a subtle pattern accessory in this case tights, is a great way to introduce you to the world of mixing. Other subtle hints of mixing could include, pattern bags, head wraps and belts. Also two tips to subtle color coordinating pattern mixing is first to make sure the main color in your pattern attire matches the main color in your pattern accessory hence the black in the sweater to the black in the tights. Second sticking with 2 colors to mix and match patterns is a sure fire way for a newbie pattern mixer not to look like they just fell from a rainbow. I have quite a love affair with pattern mixing from simple to extreme. 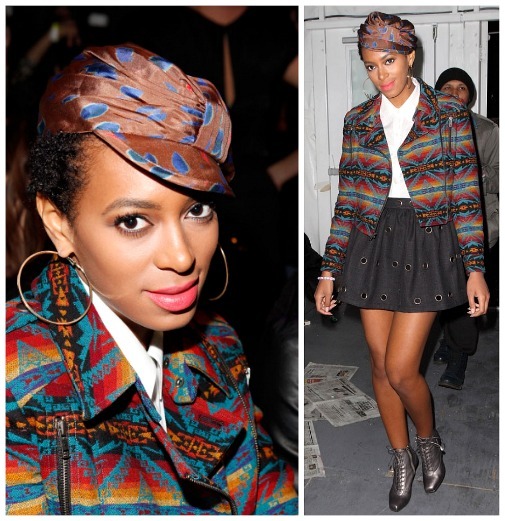 Below is one of my favorite individuals Solange who knows how to mix from all ends of the spectrum from basic to bold. From head to toe this outfit is the ish! This ensemble is definitely my cup of tea. 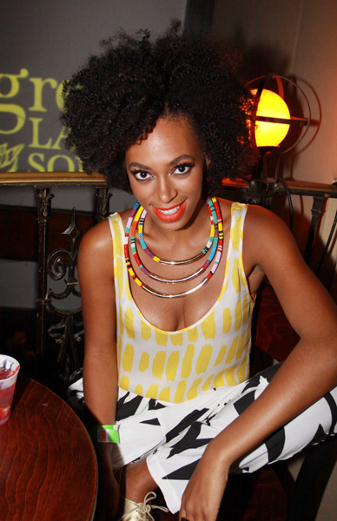 On a side note loving Solange’s natural hair (though the afro wig she use to rock looked great as well). I would rock this look. Love how the lip adds that little pop of color. Feeling the mix of knit and tweed combination. Which look would you rock with? « Why do you love your natural hair? » Can’t Stand the Heat Get Out of the Kitchen: How to Properly Attain Straight Hair Safely! Aaaand my love affair with this blog continues! 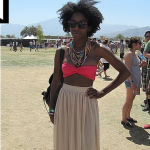 Love Solo and her style, this will basically be my uniform this summer! Ahhhh thank you :DDD I couldn’t agree more!!! Yeah, that necklace is beautiful! Love the tweed and the first picture on the left. And I — like everyone else probably — LOVE that necklace in the second to last picture. Yes I have quite a week spot for that necklace! I’m always mixing patterns and colours, and my mum always says ..#you never match’ but that’s my style..you can call me mis-matchy!! in love with the first two bold styles. thanks for the tips very helpful. I like the first and second bold look the best! I like to look sophisticated when I dress up. Those two outfits will do the trick. I would rock the tweed outfit, , that colorful necklace also has me lusting and that navy blue mini skirt outfit (the one directly about the tweed outfit) is another favorite. 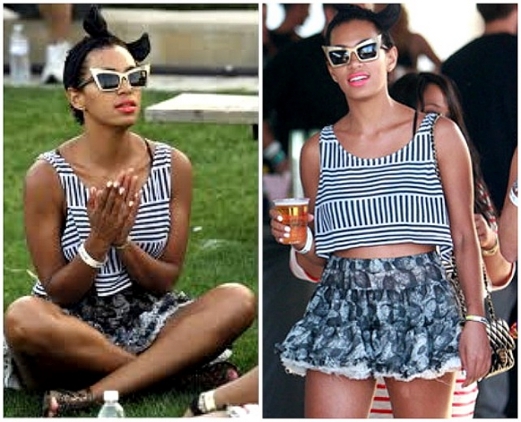 I too love Solange’s style. 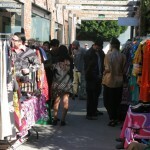 She uses lots of African-inspired prints, which I also like a lot due to the bold colors and prints. If I weren’t expecting, you would DEFINITELY see me in the blazer/short dress combo. LOVE! The last outfit was the ish!!! I love it too. So different! I am SALIVATING right now :-D, I’m not one for having style idols, but it’s always a pleasure to see what Solange is going to wear. Has anyone else noticed how her style totally came to life after she big chopped? @e4f2db0994670ba66fed134f311a06e3:disqus @e15bedc0834f068fd7b4931555a33a4a:disqus btw you guys should take a look at The Moptopmaven s blog, if you haven’t already, you’ll love it. I lOVE LOVE pattern mixing.